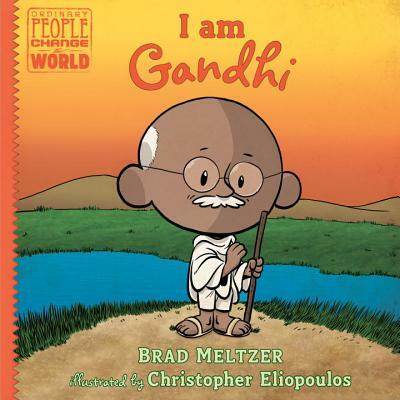 Gandhi's peaceful revolution is the focus of this picture book, part of the inspiring New York Times bestselling biography series about heroes. As a young man in India, Gandhi saw firsthand how people were treated unfairly. Refusing to accept injustice, he came up with a brilliant way to fight back through quiet, peaceful protest. He took his methods with him from South Africa back to India, where he led a nonviolent revolution that freed his country from British rule. Through his calm, steady heroism, Gandhi changed everything for India and inspired civil rights movements all over the world, proving that the smallest of us can be the most powerful. This friendly, fun biography series focuses on the traits that made our heroes great—the traits that kids can aspire to in order to live heroically themselves. Each book tells the story of one of America's icons in a lively, conversational way that works well for the youngest nonfiction readers and that always includes the hero's childhood influences. At the back are an excellent timeline and photos. Christopher Eliopoulos began his illustration career at Marvel Comics, and has worked on thousands of comics, including Franklin Richards: Son of a Genius, Pet Avengers, Cow Boy, and Cosmic Commandos, all of which he wrote and illustrated. He lives in New Jersey with his wife and their identical twin sons.